We are pleased to have eight gundog training dates lined up this year. These will run on Wednesday evenings from April to July in three different locations and will cater for all levels of both dog and handler. We love to welcome new members, so why not come and give it a go. Trainers: Our experienced trainers include: Nick Coates (Open), Ken Green (Novice) and Lucy Arnold (Puppies). To register to attend and for further details please contact our Retriever Training Secretary Annabel Kettler via the Get in Touch page. 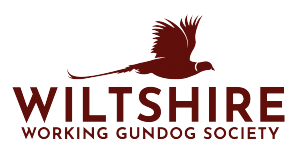 Gundog training for labradors and retrievers including gundog puppy training taking place in Wiltshire, Hampshire, Dorset and Somerset. Please pick up all dog poo and take it home. Anyone not doing so will be asked not to attend further training. Equipment – A slip lead and whistle are all you need! The trainer will have dummies, but it’s a good idea to have some at home to practise. No dogs that are aggressive or likely to fight. A little bit of prior obedience training will get you off to a flying start. Please respect our hosts generosity and comply with the above. Thank you. Bake Barn is on the A303 1 mile East of Chicklade, if travelling from Taunton direction it will be on your left. Signed Bake Barn/Penning, also WWGS signs. Once off the A303 follow signs to training ground. Please be very careful turning off A303 and when leaving training. Signs will be put out from the Bath Arms pub in Horningsham, you may come across signs before you get to the pub. Working Tests and Field Trials.